Get the scoop on upcoming Melody of Hope events! For press/media inquiries, email us at info@melodyofhope.org. Charlie, please share your story with us. How did you get to where you are today? I have always been passionate about three things throughout my life; Jesus, people, and music. So while I was in graduate school I decided to work on a project that allowed me to incorporate all three of those passions. At the time I was also simultaneously working for a record label; G4 Muzik. While I loved my job, I just felt like somehow all the money, fame, and resources could be utilized to help make a difference in the community. I began working on a business plan that centered on a music festival that traveled all across the world. Well life literally took me across the world to Ethiopia. Before Melody of Hope could come to life, I had already made a commitment to move to Africa for 10 months to do mission work. It turned out to be a blessing because I got to see upfront what it was like to live in immense poverty and what it looked like to be without hope. When I returned to the states I relentlessly started to take steps to bring Melody of Hope to life. Crest Infiniti will be the presenting sponsor at this year’s “Hope for the Holidays Christmas Gala. FRISCO (November 26, 2018) – Glamorous dresses and a night dedicated to charity will be paired with Dulce Vida Tequila at this year’s “Hope for the Holidays” Christmas Gala hosted by Melody of Hope. Crest Infiniti will be the presenting sponsor at the event and Dulce Vida Tequila will provide their smooth tequila for attendees to enjoy. The gala will be held at Verona Villa in Frisco on December 1, 2018 at 7:30 p.m.
Last year, Melody of Hope raised $22,000. The event was sponsored by 70+ businesses and organizations including Vario Health, Frisco Arts, Kendra Scott and Deep Ellum Brewing Co. This year is expected to be bigger than ever as it quickly outgrew the original venue. With only a month away until the Gala, Melody of Hope had to find a new venue quick. Jason Young, owner of Verona Villa, saved the event and offered his gorgeous venue. “We are excited to host the 5th annual MOH gala to celebrate and honor the tremendous volunteers and supporters as well as highlight what an exciting time it is in the life of this non-profit,” Young said. All proceeds collected from the gala will help Melody of Hope in 2019 to continue to serve as an ambassador for fellow nonprofits and good causes. Guests are encouraged to bring one toy to donate to the Boys and Girls Clubs of Collin County. Purchasing a ticket to this year’s gala will include dinner, silent and live auctions, dancing, and live performances by a stringed quartet and by Kelvin Thomas, a soul/R&B artist from Dallas. Tickets will be $100 per person. You can purchase your ticket(s) to #Hope4theHolidays18 here. Melody of Hope is a nonprofit organization that exists to support and become an advocate for nonprofits across the Dallas/Fort Worth Metroplex. MOH host benefit concerts in popular venues while leveraging concert revenues for nonprofit partners and causes. MOH strives to educate and mobilize donors—using music to extend the hope of Jesus. PLANO, TEXAS (July 28, 2017) – Kendra Scott will be hosting a “Kendra Gives Back” fundraising party for nonprofit organization Melody of Hope Aug. 7 from 5-8 p.m. The event will take place at Kendra Scott at the Shops of Legacy in Plano. During the event, 20 percent of sales will go toward Melody of Hope’s cause. Bracelets, necklaces and earrings can be purchased to support the nonprofit. The partnership between Melody of Hope and Kendra Scott formed three years ago and has helped Melody of Hope gain support from the local community. Kendra Scott is looking forward to partnering with Melody of Hope for the third year in a row, showing support for a good cause while providing a way for others to give back. 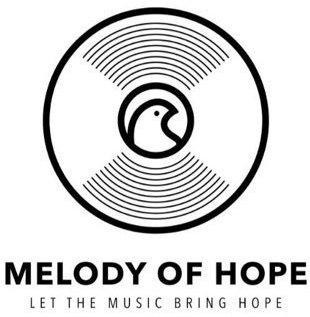 Melody of Hope will use the funds from the shopping event for the benefit concerts they host for their nonprofit partners. Additional information about the event can be found on Melody of Hope’s website.